One of the ongoing quirks of rock ‘n’ roll which indicates that far from being a unified stronghold against outside musical forces, the individual factions – or at least individual fan bases – within the genre are in a constant struggle over who controls the image of the form is how they deal with the fringe elements, particularly when it comes to artists with an undue amount of pop appeal. This has long proved to be rock’s Achilles heel in a way. In order for rock to reach its full commercial potential it needed to expand its audience, yet doing so often required them to pull in those who had no interest in the more salacious qualities the genre constantly sought to use as its defining characteristics. It’s a precarious balance that never fully resolves itself. Each era in rock has successful artists who represent the outer regions of the form that are always a threat to the dominant rebellious attitude the core constituency deems the most important attribute of the music. In the first rock era of the late 1940’s we’ve seen this manifest itself most often with vocal groups. The Ravens and The Orioles were the pillars of the field, their brand of soulful songs capturing the hearts of the young rock audience desperate for those who spoke directly to them. Yet in spite of this affection they enjoyed they never seemed quite content with appealing solely to the young boisterous rock fan who’d made them stars, as they made every effort to also pull in the older pop-oriented fan that had long been seen as the pinnacle of crossover goals. The Ray-O-Vacs technically weren’t a singing group, in that while all capable of singing they didn’t harmonize but rather had one lead as the others played instruments, but they were still emblematic of the trend towards trying to appease both sides of the divide. As could be expected the results weren’t always satisfying… to either constituency. When The Ray-O-Vacs made their debut with a new arrangement of an old standard I’ll Always Be In Love With You it was definitely a unique re-imagining of the song and far more in line with a new generation of listener, but it was hardly cutting edge rock no matter how you sliced it. Their style was more smooth than rough, their vocal and instrumental sound more soothing than tumultuous. As a result the image they were apparently trying to inhabit seemed to be more pacifying than rebellious. In other words they were exactly the type of artists who’d draw scorn from those who wanted to keep this style of music as far away from the outskirts of mainstream respectable pop as humanly possible. Their follow-up in the spring only re-enforced this mild non-threatening image, as both Happy Am I and its flip, the even more lightweight Why Did You Break My Heart, gave rock audiences only brief tantalizing glimpses of a more soulful delivery to keep it firmly within the borders of the music. The thing about it though is these records weren’t exactly a perfect fit anywhere else either. Or if they might’ve been better situated for another realm in the past those fields were rapidly becoming obsolete. Even the dominant black pop styles of The Ink Spots, Mills Brothers and occasional rock-tease The Four Tunes was losing ground now that the generational divide was becoming more pronounced. Those groups from yesteryear were all still popular but it was with established fan-bases, not newer audiences who could reasonably be expected to sustain interest in that more modest approach now that more vibrant styles were gaining traction. So for The Ray-O-Vacs their options were somewhat limited. They were unlikely to be able to ever fully convince rock skeptics of their legitimacy, but their chances at finding consistent support in a declining mainstream pop market would put them in no better position for long-term success. All of which meant their ultimate place in rock circles was as unstable as ever, something their latest release I’m The Baby Now only confirmed. We know with a fair amount of certainty that there’s not going to be a radical re-thinking of The Ray-O-Vacs style, not when their first two releases were both very strong sellers, including one national hit and the follow up scoring well on numerous regional charts. Whatever doubts as to their musical allegiance they didn’t seem to be suffering from the confusion, even if nobody could quite pin down which market, old or young, were supporting them most. Chances are it was a fairly even split, thus making their straddling the line between styles commercially astute, even if it was aesthetically frustrating for those who want a clearer line of demarcation in each and every record they hear. I’m The Baby Now splits the difference once again between more sedate pop and more soulful rock and yet rather than come away with something pulling apart at the seams because its sounds were incompatible with one another, they manage to fuse them together here in a way that comes across as almost organic. Not exciting mind you, but pleasing enough for a wide variety of tastes. The saxophone takes the lead in setting the mood, which is an astute move to keep it tied to our brand of musical hedonism. It’s not a boisterous sound as played here by Chink Kinney but his mellow tones are suitably seductive in a way, even slightly lurid if you want to think the best (or worst???) of them. The others don’t hold back on their contributions either, with some crisp drumming by lead singer Lester Harris (assuming he wasn’t replaced on the recording by a sessionist behind the kit) along with Flap McQueen’s bass and Joe Crump’s piano working in tandem to keep the rhythm emphasized in a subtle way. None of this is done to draw attention to themselves, which you might see as a detriment I suppose, but it’s also not designed to smooth things over with a dainty arrangement to off-set any more alarming aspects of the record. What aspects would that be, you ask? Try Kinney’s ensuing sax solo which while certainly not nearly as torrid and raunchy as others have delivered to date, still retains more than enough grit and suggestiveness to suffice. It starts off with his most emphatic notes to draw your attention before settling back down some, but he’s playing with a slinky attitude throughout, kind of a grifter’s persona set to music. Think of it as someone selling dirty pictures in the shadowy corners of a nightclub as opposed to a hardened criminal out to lift your wallet at knife point and you’ll get the idea. Lester Harris is shaping up to be a rather intriguing singer, as with his somewhat sleepy low tenor he comes across as someone constantly under the effect of some potent cannabis when it comes to his delivery. He’s never in any rush to get his point across and has little use for histrionics when revealing a plot point, in fact he seems virtually unflappable at every turn, whether his girl is dumping him or when he’s dropping the news that he’s already got another girl himself and is perfectly happy with this new one. The kind of guy Harris presents sits somewhere between happy-go-lucky and content. It’s doubtful he’s got enough stability in his day to day life that you could call him the latter, but he’s not quite a vagabond who wanders from town to town without a care in the world to classify him in the former category either. It sounds as if he’s got just enough on the ball to be desirable to ladies, but his self-image isn’t tied to being a ladies man to worry much when he’s without one. Maybe that just makes him more interesting to girls, their seeing him as a tough nut to crack and so they pursue him more than he chases after them. Or perhaps he’s the type who just takes everything in stride, from work to women, and that keeps his blood pressure down along with his responsibilities. But either way it’s an appealing persona to observe from a neutral corner. The storyline itself merely acts as a re-cap of the events that transpired between these two people – Harris and his ex – which is for our benefit since of course they need no reminding of what went down between them leading up to this renewal of acquaintances. 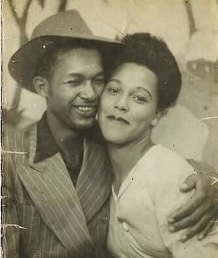 Harris is chiding her gently, reminding her that she wanted bright lights, indicating he probably wasn’t up to providing this for her due to financial reasons, but you can tell by the knowing tone in his voice that he’s well aware that kind of relationship would only survive as long as his checks didn’t bounce. They both seemed to get what they were after in the end, she got a guy who takes her wherever she wants and doesn’t complain about the tabs he’s forced to pick up, while Harris has likewise moved on and found a true love that he wouldn’t have met if he was still playing glorified chauffeur for her dreams of upward mobility. Her awkwardness at having to introduce him to her new sugar daddy when they run into one another unexpectedly one night while out on the town with their new partners is heightened when she sees him enjoying himself with a girl who wants him for him, not his line of credit. They’ll make polite small talk for a minute or two and then each be on their way, but the meeting is going to leave her feeling uneasy all night while he’ll be grinning to himself about how it came off. Despite its charm it’s hard to say that I’m The Baby Now is much more than a modest trifle in the big scheme of rock ‘n’ roll. It’s still too mellow a sound to be at the forefront of the revolution. It borrows from the style more than it adds to it. The song acts as a pleasant nightcap to a satisfying evening far more than serving as a launching point for a wild night on the town. In other words it’s nice… it’s well done… it’s moderately enjoyable… but it’s not essential. That’s The Ray-O-Vacs story in a nutshell. Skilled at what they do and just versatile enough to make concessions to whichever approach is deemed has the most potential at the time, but hardly visionaries and in no way restless enough to shake free of the relative safety of the middle-of-the-road mindsets they inhabit. If you’re the kind who shows no mercy for those who continually reside on the edges of rock’s frontier, those who are never taking great risks or seeking to upend the social order of things with their efforts, then this probably isn’t a group that you’ll ever feel anything but disdain for. But if you concede that in any creative endeavor there are leaders and there are followers, those who seek to define the term with their creativity and others who merely are content to be included under the broadest possible definition of those terms, you’ll be much more receptive to their honest, if underwhelming, efforts. Every race needs those who just fill out the field and if that’s The Ray-O-Vacs legacy it’s nothing to be ashamed of. They’ll run that race for a long time and in rock ‘n’ roll where most acts burn out quickly, that’s an achievement unto itself. 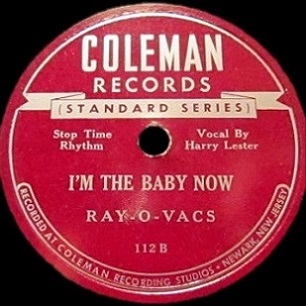 Leave a reply on "The Ray-O-Vacs: “I’m The Baby Now”"